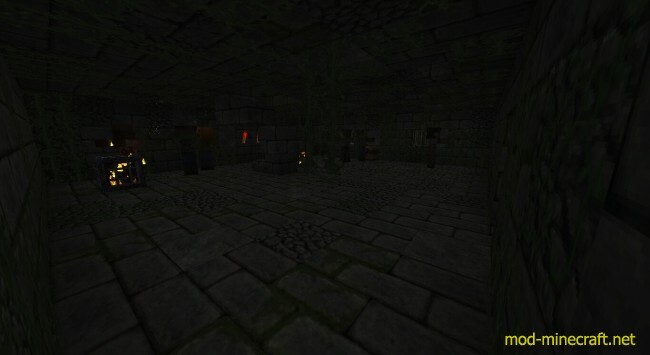 New Dungeons Mod enables you to have a new Minecraft dungeon type in your minecraft world. Those ones are much bigger, more interesting, and a lot harder compared to the small and boring default dungeons. 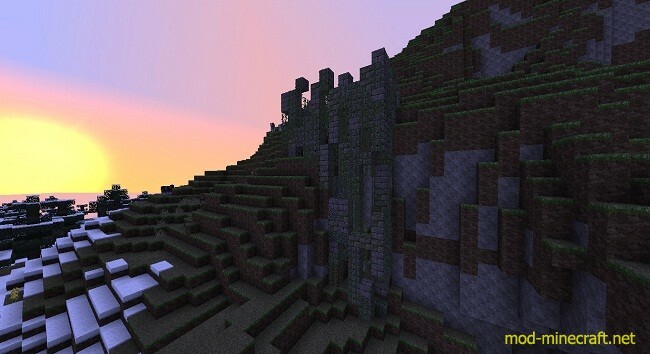 Unlike most of the default structures they are completely random so each one will be totally different. A lot of current minecraft structures have several different premade peaces that are randomly placed together. This mod does not do that. Allowing for much more variety and excitement. When you find one you will see a small rundown structure on the surface, with a spawner and a spiral staircase leading to the rest of the dungeon. 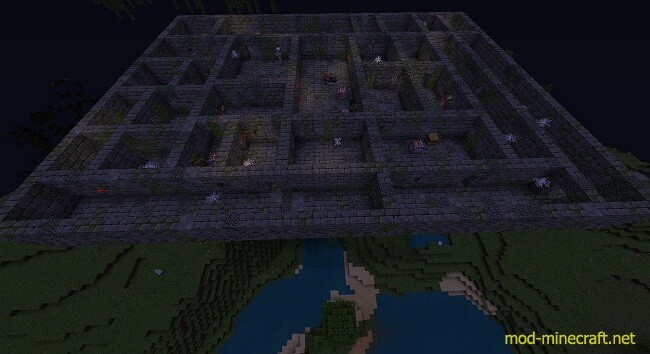 Down there you will find a multiple room maze with spawners, chests, and possibly some traps.